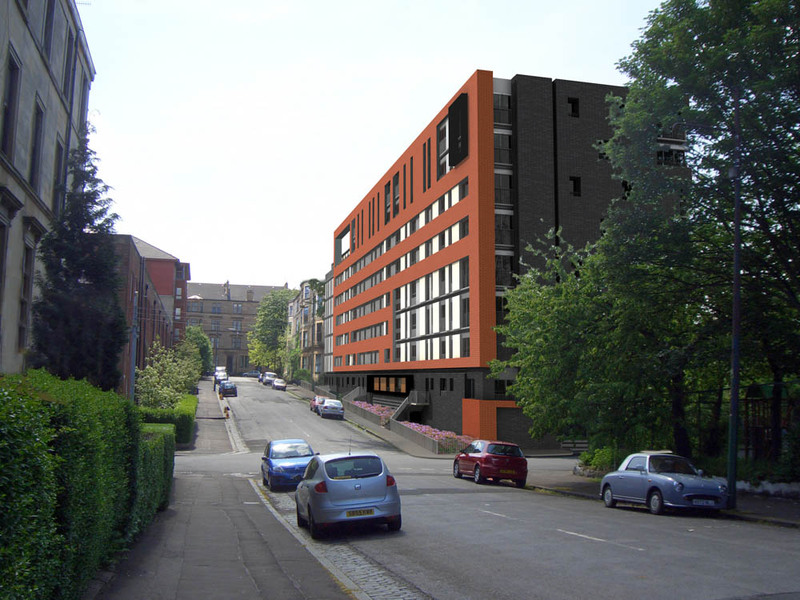 This project was designed whilst at RMJM, to infill an historic gap site amongst tenemental development in Glasgow’s west end. 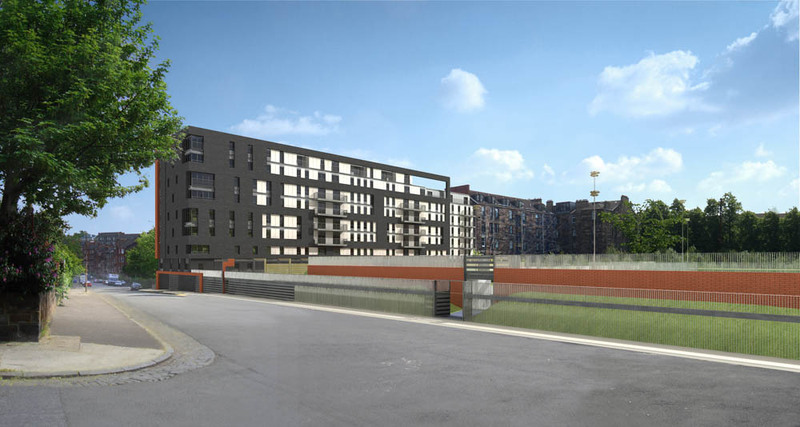 A new residential block containing one, two and three bedroomed flats for a local housing association was proposed to complete the street elevation, and a new community outdoor sports facility and changing rooms were designed to sit within the urban block, replacing derelict playing fields. The design was developed with ‘double fronted’ façade in order to respond to and activate both the street and the new community space inside the block.